If you have a sports related injury, you’ll probably be desperate to recover your fitness so you can ‘get back out there’. Whether it’s a chronic injury or just a niggling problem that won’t go away, our sports therapists can help you do just that. As trained practitioners, we have a range of options to choose from when considering how to treat you. We might decide that manual therapy, massage, acupuncture, therapeutic ultrasound or exercise therapy is the best course of action to aid your recovery – or even a combination of treatments. But before we do anything, you’ll receive an in-depth consultation and examination so we can put together a plan that’s tailored exactly to your needs. Treatments normally last 30 minutes and include a rehabilitation exercise plan to get you fit and strong again. Contact us today to find out more about our sports therapy treatments or to book an appointment. 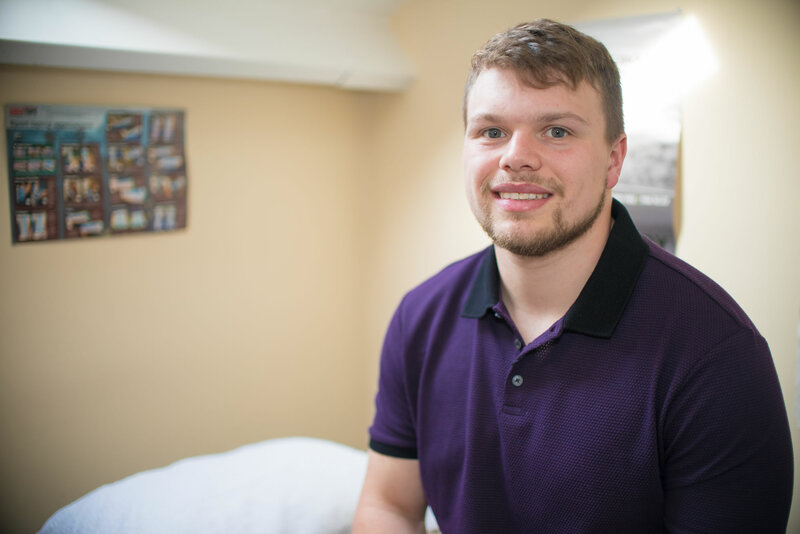 George is a sports therapist who is passionate about not just treating an injury, but also strives to get people back playing or doing what they love most. In addition, George enjoys helping athletes improve performance in their chosen disciplines.